Rope Halters and Lead Ropes Sold Separately. 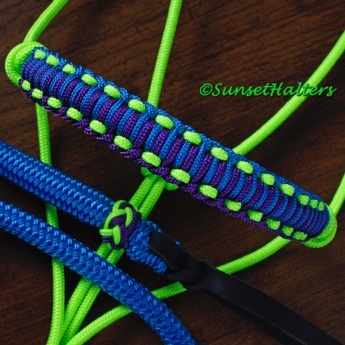 We use smaller accessory cord to make these noseband wraps. 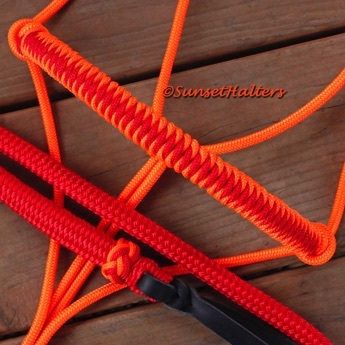 They're made from the same fiber as our halter cord, yacht braid and accessory cord halters, which means they're a perfect match. 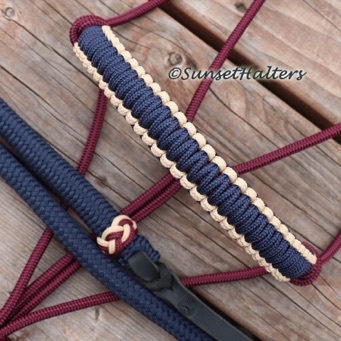 Each wrapped noseband comes with a matching tie off knot. 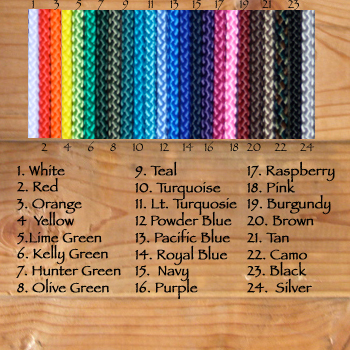 Most of these accessory cord colors will match the diamond braid halters fairly well. The subtle differences in shades are usually hidden in the patterns of the diamond braids. 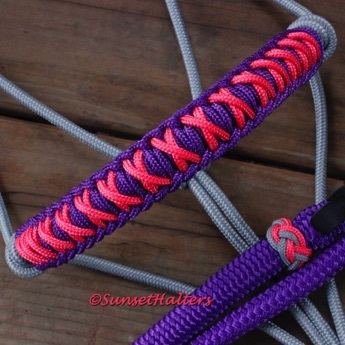 Although, the diamond braid pinks and the accessory cord coral clash terribly. 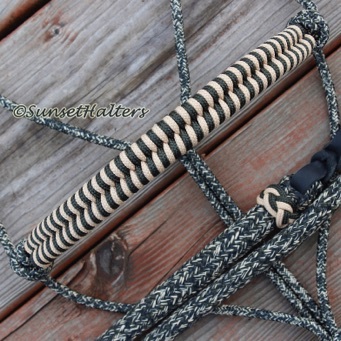 You can also choose a 'plain' wrap accessory cord noseband. These start at $3.50. Pick one, two, or three colors. These wrapped nosebands are made from 1/16" diamond braid, and are made specifically to match your diamond braid halters. Pick up to three colors. Approx eleven wraps per inch. 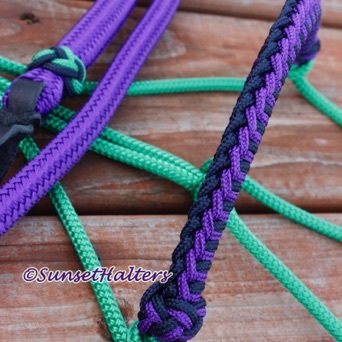 Starting at $2.50 per halter. If you're wanting to add up to three colors, you can certainly do that here! 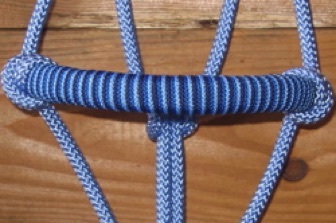 I do recommend a solid noseband (as shown) w/accent on the Hitched X, so the design isn't lost in busyness. But you're free to create whatever you'd like. 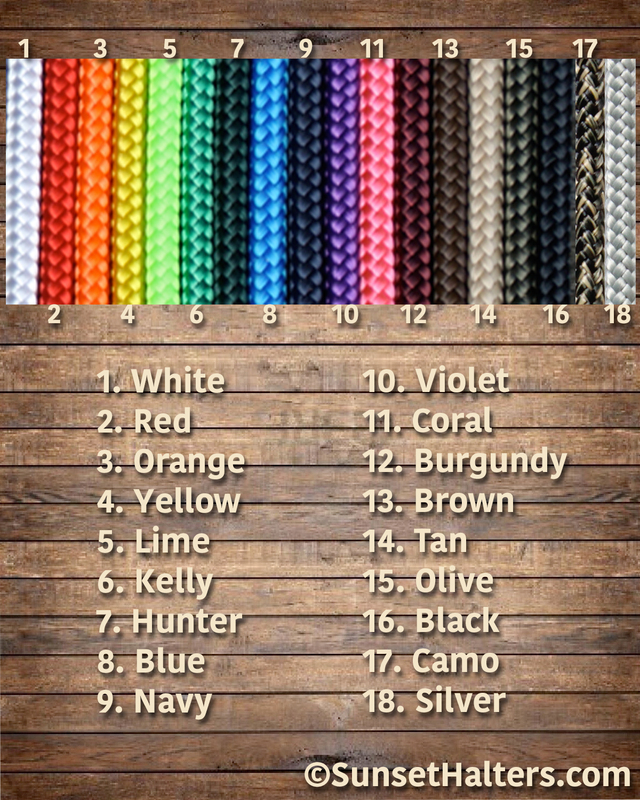 Make sure to specifiy where you'd like each color.